Pallet manufacturers currently face a big challenge: getting the lumber supply they need. Competition is high with other industries that use the same type of wood, and lumber mills are not producing enough to meet demand. Experts are predicting a 9% increase in construction in the U.S. housing market this year, which will drive lumber demand even higher – but lumber mills across the country are still shutting down. Why? Sawmills are not receiving enough wood to keep up with rising lumber demand. Although there is an ample supply of trees, landowners are less willing to sell them. Instead, they prefer to use their land for recreational purposes and keep trees to maintain privacy from neighbors. That’s not the only reason supply is lagging behind demand: Beetle infestations in some areas of Canada are also harming lumber resources, and the pests render trees virtually useless. The unusually harsh winter has hurt the operations of a lot of lumber mills. A large piece of the polar vortex broke from the main weather system and moved much further south than normal, driving temperatures in North America to sub-zero lows. The extreme temperatures prolonged the winter season and made for a cooler-than-normal spring. All of this made lumber production quite difficult. 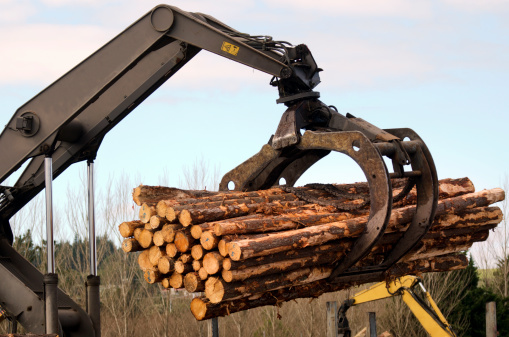 The industry is also experiencing a severe logger shortage. The American Loggers Council has been expressing concern in recent years about how hard it has become to recruit young workers to the logging industry. As more and more loggers retire, logging crews are dwindling. With fewer people around to harvest logs, some hardwood mills are forced to consider temporary shutdowns. While temporary shutdowns, a restricted supply, and a shortage of loggers all seem like bad news, there is a reason to be optimistic about the current state of the logging industry. As it turns out, this may actually be a good situation for some hardwood sawmills. Over the past few years, a lot of loggers have seen their hours reduced, and a lot of mills have cut back to one shift. But increased revenues and demand have led to increased business for the hardwood mills. The capacity is there to handle the current increased demand; a lot of mills are now bringing back a second shift and giving their loggers more hours. So while some mills have shuttered their operations, other mills now have the chance to flourish. Pallet manufacturers will be relieved, as this could reduce some of the pressure on the lumber supply.